The Hotline is made possible due to the support of members and volunteers from all over the state. We offer free one-on-one phone counseling sessions to our members. 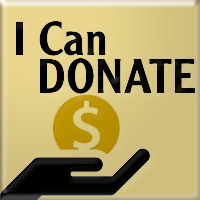 Membership is donation based, with a suggested $10-100 per year, and no one will be turned away for lack of funds. Can you help support our hotline program? If you would like to become a member but can't donate, use this form. - you get free counseling on your tenants rights! - If you wish to receive counseling but do not want to be a member, there is a $20 one time fee to cover our hotline staff. It may take up to 3 business days to recieve a call back from a counselor. We apologize for the inconvenience. If you are in a city that currently has a rent control & just cause ordinance, you will be better served by contacting local organizations. Our expertise is on the state law. Go to our Local Resources directory to find organizations that can help interpret your local rent control or just cause ordinance. No, our counselors are highly trained volunteers who come from a wide variety of backgrounds, but they are not lawyers. Most of them are tenants like yourself who have learned a lot about tenants’ rights through being their own advocates as well as through the training they receive from Tenants Together. If you need legal advice you can find some through our directory here. Can you represent me in my eviction case or help me fill out the paperwork? No, our hotline does not provide legal advice OR representation. If you need legal advice you can find some through our directory here. Do you give advice to landlords? No, we are a tenants’ rights non-profit and our very limited resources are dedicated to supporting tenants. We also cannot advise master tenants with questions pertaining to their subtenants. Can you tell me how to deal with my roommate or neighbor? Our hotline can only counsel on issues where tenants are having problems with their landlord. We encourage you to seek a mediation service that might help address the conflict by visiting your local courthouse for resources. Most counties have a 2-1-1 service you can call to get information about rental assistance or affordable housing lists. Can you help me learn more about my tenants’ rights so I know what I need to do to effectively stand up to my landlord? Can you help me find out what my rights are if my landlord is in foreclosure? The best way to request repairs? How to get my security deposit back? Yes! All of the above and more!